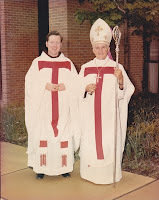 As you have been made aware earlier on this blog I will mark an important milestone this Sunday--40 years of priestly ministry. I want to take this opportunity to thank God for using me as His instrument in so many ways, ways that are beyond my own abilities and that have to do entirely with His Grace--be that with preaching, counseling and spiritual direction, or in the confessional. I also want to thank all those who have sent me cards and prayers for the occasion, and to thank the many people who have become part of my life--from Boston, to New York, the Bronx, Buffalo, Camden, NJ, the many places where I have preached missions in English and Spanish, in the US and Canada, the people of Bolivia, especially the campesinos, who left a permanent mark on my life, and the people of Eagle River, Phelps and Land O'Lakes, WI. I could not have imagined 40 years ago the number of folks who would become part of the fabric of my life. I would add to the list the people whom I touched and who touched my life through Marriage Encounter, many of whom have become lifelong friends. One of the real joys of these 40 years was the day I was preaching a mission in Spanish in Hialeah, FL in 2002. I was approached by a young man from Cuba, Erick Lopez, who expressed interest in joining the order. I will travel to New york tomorrow to participate in his ordination. What a blessing. I just returned from a wonderful time in Assisi which was basically a retreat, but also a vacation. It was a time of reflection, thanksgiving and re-dedication to my life as a friar and as a priest. I pray that in whatever years I have left I will be an even better priest and servant of the needs of God's people. I know that God and God's people will continue to bless me in ways beyond my wildest imagination. I am winding up a ten day retreat/vacation here in Assisi and feel renewed in every aspect of my life as a friar and priest. 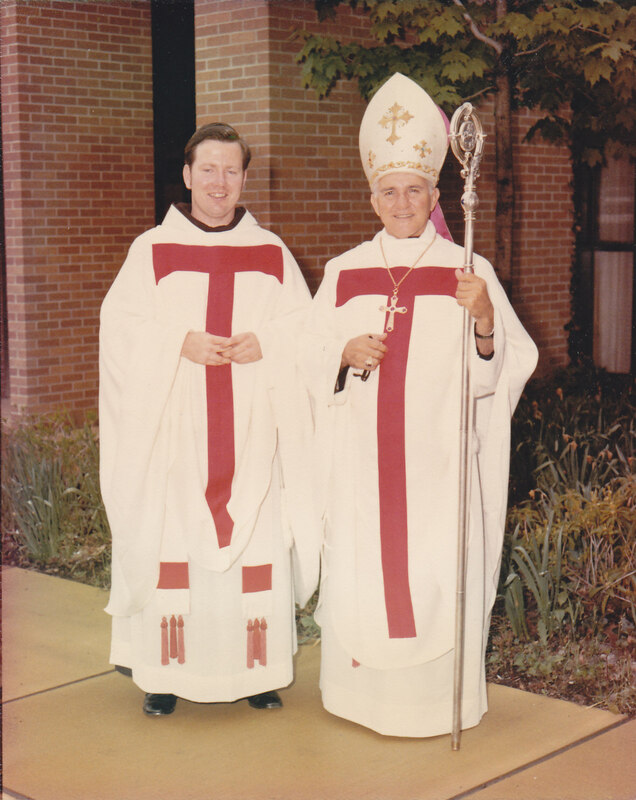 I look forward to quietly celebrating my 40th anniversary as a priest one week from today after participating in the ordination of two friars on Saturday, May 21. What is very much on my mind these days is the figure of St. Francis as the saint of peace, the peace of Christ. As a young man he was a soldier, but a soldier who became disillusioned with war. After heading off to battle he returned to Assisi in disgrace because he failed to pursue the military career for which his father equipped him. He later went to the middle east, along with the crusaders, not to fight, but to preach to the Sultan, who while not converting to Christianity, came to respect Francis as a truly holy man. What is keeping this aspect of Francis' life before me is the debate that has been going on since the death of Bin Laden. People have been asking "Was this the right way to go about things? Could there have been another way instead of just killing him?" All of this against the background of the entire situation since 9/11 regarding our dealings with the Muslim world. When I talk of non-violence or even of dialogue with the Muslims I often get a lot of grief. "Come on Fr. John, get real, look what these people have done to us," say some. Others say, "When they dialogue with us we'll dialogue with them." Yet, my friends, I belong to an order founded by a man of non-violence and entrusted by the Church with outreach to the Muslims. My task is religious before it is political, and yes it is unreal because it calls us to move beyond where we are, to think outside the box when it come to dealing with conflict. From one point of view it is quite rational to say that we must defend ourselves against random and irrational terrorists, and indeed we must. The question is how. Non-violence does not mean that we let people walk all over us. It means that like Ghandi and Martin Luther King Jr. we learn to resist and defend in a non-violent way. Dialogue does not mean just play nice. It means finding common ground on the one hand, but also asking the hard questions on the other. Believe me there are some challenging questions I would have in dialoguing with Muslims and I assume that they would have hard questions for me and other Christians. But that is how progress is made. I believe that it is important to realize that it is easy to pontificate about what world leaders should do and to challenge them on various issues. At the same time we need to ask where we are personally A little incident from my own personal life highlights that point. I still need to grow.If I'm honest I have to admit that I'm not there yet. As a youngster fighting never made much sense to me. In the back of my young mind when other kids talked about needing to use your fists to be a man I never bought it. I thought of myself as superior to the "thugs" who were always getting into fights. Nonetheless there were a few times when I had to stand up to them and I got into a few fights for that reason. One time however I told one kid who challenged me that I preferred to use my brains rather than my fists to settle things in life. He walked away sneering not knowing what to do. Was this non-violence? Maybe, but I also felt smug and arrogant, so not quite. About 10 months ago I was threatened at knife point on the streets of St. Petersburg by man who didn't like the way I looked at him. As he approached my I gave him a punch and he fell back. The police came and that was the end of it. I did tell them that he was drunk or high and needed help. I did not press charges. I went home and thought about what happened. I had not struck anyone with my hands since I was a teenager. I did not feel guilty or think that I had sinned, but I asked myself, "Could I have done better? Could I have handled it in another way?" I still need to learn the way of non-violence. As I leave Assisi, feeling at peace and full of the spirit of Francis and more importantly of Christ, I think that the question for all of us in this violent and conflicted world is "Can we do better? Is there another way?" We Franciscans must always be raising that question. I'm writing from Assisi today. It is a wonderful spring morning and the place is bustling with activity. I went to morning prayer and Mass in Italian with the friars here, then after breakfast I visited the Basilica of Our lady of the Angels. This is the place where the Franciscan movement really began. 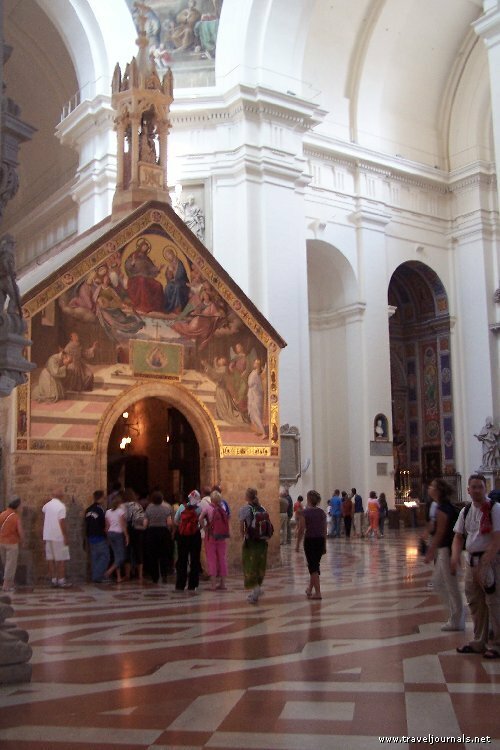 The Baslica was built in the sixteenth century and houses the little chapel of Or Lady of the Angels (beleived to be built in the mid 4th century) one of several small churches rebuilt by St. Francis and his early followers after Francis heard the call to "Rebuild my House." It was here that Francis and his companions first gathered as a community, a brotherhood. It was from here that they were first sent out to preach. It is here that to this day most of our general chapters are held. Assisi is rich in tradition, but it is not locked into the past. Instead it honors and commemorates the past, yet brings it forward. Today the city sports modern buildings, festooned not only with Italian flags but also with TV satellite dishes. The friary has internet outlets in most rooms, including the one I'm writing from, but most importantly the basilica is filled with young people from all over the world enthusiastically singing hymns and praying in the chapel or "Portiuncula" (Little portion) as we Franciscans call it. This brings me to the point of this blog entry. Tradition is, I believe, one of the most misunderstood words in the Catholic vocabulary. It is too often expressed as a clinging to the past and the old and a rejection of the present and the new. People who do this are called "traditionalists." Tradition is also often confused with customs. Customs are not the tradition, but ways of expressing the tradition. Throughout the centuries the Church has always found new external expression to bring alive the ancient tradition. Tradition then is the living and growing body of faith and belief, rooted in the past, but alive in the present and waiting to grow into the future. It needs new expression to continually do this. Here in Assisi today the 800 year old tradition of living the Gospel begun by Francis of Assisi in 1209 is very much alive in ways that Francis never could have dreamed of. Francis himself began his movement as a new way of living the old faith. The friars, sisters and lay people who have followed him continue to do the same. Today I rejoice in the fact that I prayed in a 15th century basilica that houses a 4th century chapel refurbished by a 13th century saint. Most of all I rejoice that 20th century youth are there now keeping the whole thing very much alive. As for myself I smile when friends comment to me that seeing a friar in his Franciscan habit holding an iphone is a shock to their senses. I think it is very traditional.